Astronomy nerds and moon lovers, its time to head to the terrace again as the third and final supermoon of the year 2019 will take place on March 20. The full moon of March will mark the last supermoon of this year. The Full Worm Supermoon will also see another unique occurrence when a full moon and a spring equinox will coincide within four hours of each other. According to the Old Farmer's Almanac, such astronomical occurrence will take place in 19 years. Let us know more about this lunar occurrence, the time and what makes it so special. 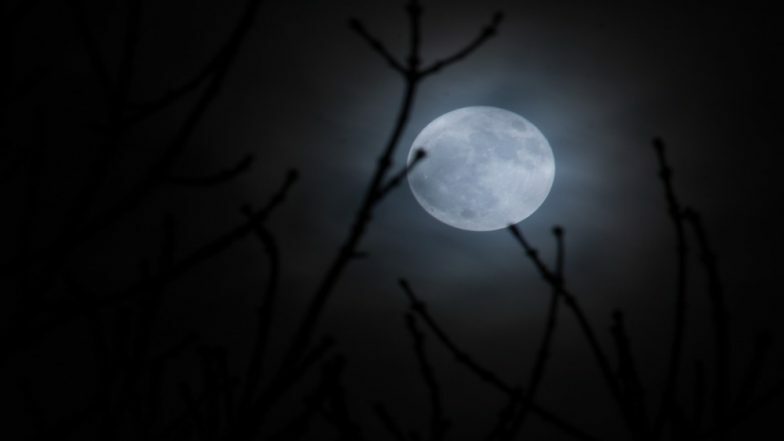 Super Snow Moon 2019 Pictures: Check First Glimpses of The Biggest Supermoon of The Year. The supermoon of March which is also called the Full Worm Supermoon will occur on March 20, Wednesday from 9.43 pm (ET). It will appear full night and be at its peak later in the night. It can be viewed until the next morning. It will be seen on March 20 in the North American region and on March 21 in the European areas. What is Full Worm Supermoon? A supermoon is a phenomenon that is used to describe a moon that is at its closest point from the Earth. It is a brighter and larger moon than the one that you see on regular days. Astronomers say a supermoon is 14% larger and 30% brighter. At its full perigee, the moon will be about 223,306 miles from Earth. This moon is special because it coincides with the March equinox, that marks the beginning of spring in the North hemisphere. The last time a full moon and a spring equinox occurred together was in the year 2000. It is called as the Full Worm Moon because during this time the ground begins to soften and the earthworms appear from the ground. More and more birds are seen flocking nearby to eat these worms. It thus signifies the beginning of the spring season. So if you have not chanced upon to see the Super Blood Wolf Moon in January or the Full Snow Supermoon in February, then do not miss the last supermoon of this year. Hoping the sky will be clearer, you can catch the sight of the last supermoon of this year.